Most motorcycle enthusiasts are safety-minded individuals just looking to enjoy their passion. Although bikers face a variety of challenges on the road, it’s possible to minimize some of these dangers with a lot of awareness and a little bit of common sense. 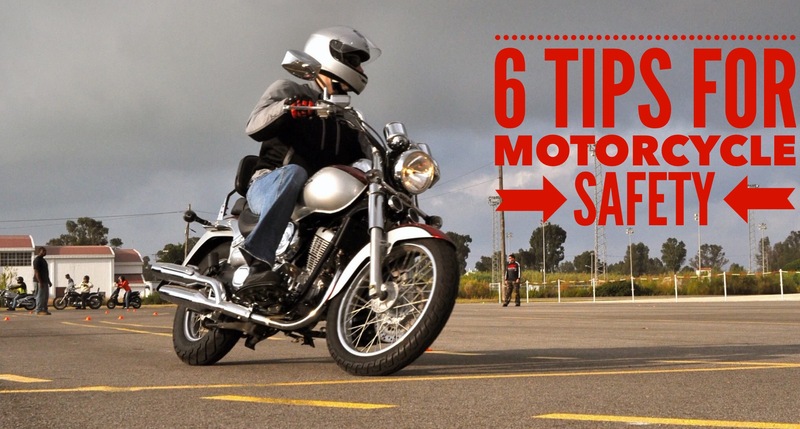 Here are six ways to enjoy a safer season of riding. Just as a pilot performs a systems check before a flight, you should do the same before a ride. In just a few minutes, it’s possible to notice anything that has gone awry, like tire and rim damage, fluid leaks and levels that need filling, and loosened nuts or bolts. Make sure all lights are operative, and check drive chain tension and lubrication. Finally, test the clutch and brakes for proper operation. Road hazards decrease when there’s a greater margin of safety. The more distance you put between yourself and other vehicles and obstacles, the more time you have to react when the unexpected does occur. This means backing off behind other vehicles, especially on wet roads. Stay in open space and stay out of trucker’s and motorist’s blind spots. Always have an exit strategy if traffic suddenly slows. Your bike is no match for the vehicle behind you that fails to stop in time. In a landmark study conducted by the NHTSA and Virginia Tech Transportation Institute, distracted driving in the three seconds before impact accounted for almost 80 percent of all crashes and about two-thirds of near crashes. Most riders wouldn’t think of eating, drinking or smoking while on the road, and yet the temptation to reach for that smartphone remains. A smartphone motorcycle mount is an important solution, but it is not a cure-all. Mounts must not lead to phone use in unsafe situations. Realize that conversations are always a potential distraction. Research at the University of Utah provides clear evidence of this, citing “inattention blindness” as a very real hazard. Even if your smartphone is almost like another appendage to you, it’s important to minimize phone use when you’re on your motorcycle. However, when it is a necessity or will actually help with your driving, such as viewing GPS directions, having your phone visibly displayed on mount can help a great deal. In a vehicle, occupants are protected in many ways — air bags, seat belts and crumple zones among them. For the motorcyclist, your attire is your only protection at impact. Therefore, head-to-toe protection with the right materials is imperative, as is an approved helmet. Do more than meet minimum DOT standards with a helmet selection. Look for “body armor” that will protect joints and other areas, even in multiple crashes. In the rain, a waterproof full-body suit, waterproof gloves and waterproof boots improve comfort and safety. Also, dress to be seen with reflective gear and bright colors. An ongoing commitment to motorcycle safety is one of the best antidotes to accidents. Make sure you stay on top of any changing motorcycle regulations and keep your riding skills updated. Enter your zip code on the Motorcycle Safety Foundation’s website to learn about courses available nearby. The organization also offers interactive training online. Find the Mount that Fits Your Bike! For Riders, by Riders Power Sports US is family owned manufacture and distributor of high quality motorcycle and power sports accessories.